We understand that the world of audio-visual equipment can be an overwhelming part of the planning process. Choosing color palettes, tasting food, & selecting flowers are a lot more fun. Don't worry, that’s what The AV Company is here for! You've read the wedding magazines, checked out the top blogs, and have a whole collection of "I Love This Look" photos for your wedding. Now - how do you get there? There is a big element that you cannot always see in those photos - lighting! The AV Company offers lighting packages that can help you to achieve that look while being considerate of your budget. 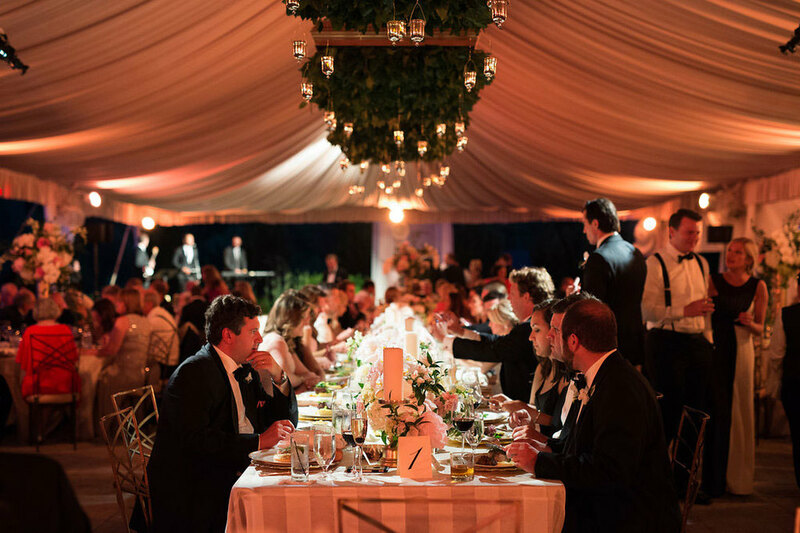 In addition to our packages, we are also able to work with you on customized lighting, fabric, & decor for tents, ballrooms, or just about any location you can dream up. 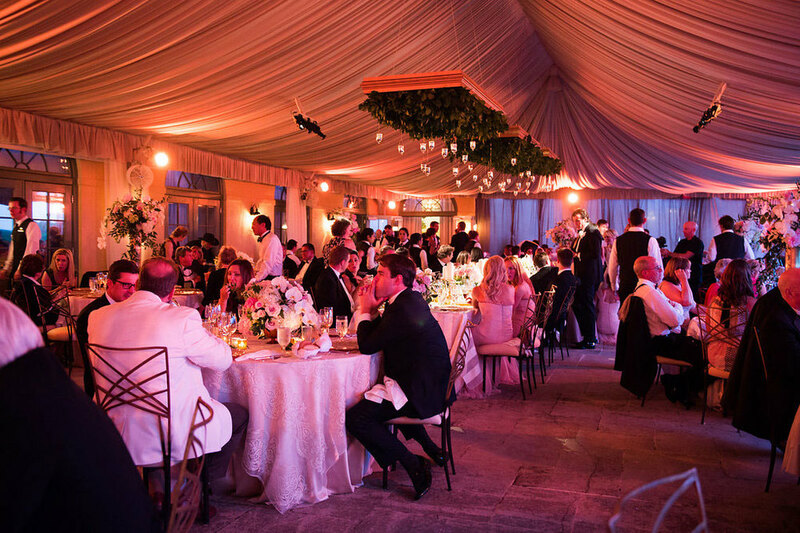 Please take a look through our AV Company Lighting & Decor Brochure to see more of what we offer, or visit our blog for more recent wedding trends and photos. Another important component to your wedding setup is audio support. Have you ever been to a wedding ceremony where you couldn't hear the officiant, much less the bride & groom's vows? We have a solution for that. Our sound package includes very discreet Bose Professional speakers (they don't stand out in photos!) with a wireless microphone for the celebrant & readers, and a technician on hand to provide you peace of mind as you walk down the aisle. 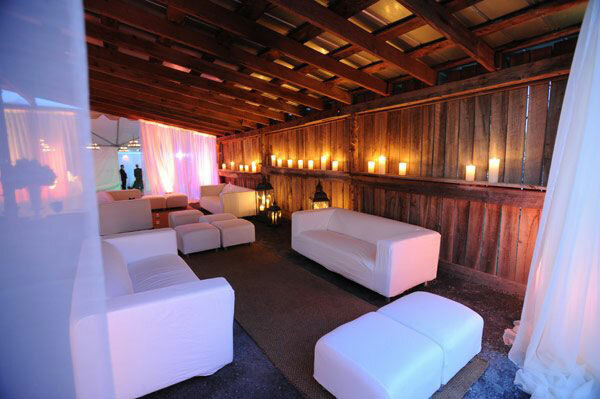 As a unique escape from the traditional cocktail tables, we also provide rental furniture to create lounge areas at your cocktail hour, around the dance floor, or as the main seating for your event. Click here to view our rental furniture collection. We look forward to partnering with you on your wedding lighting & decor needs. 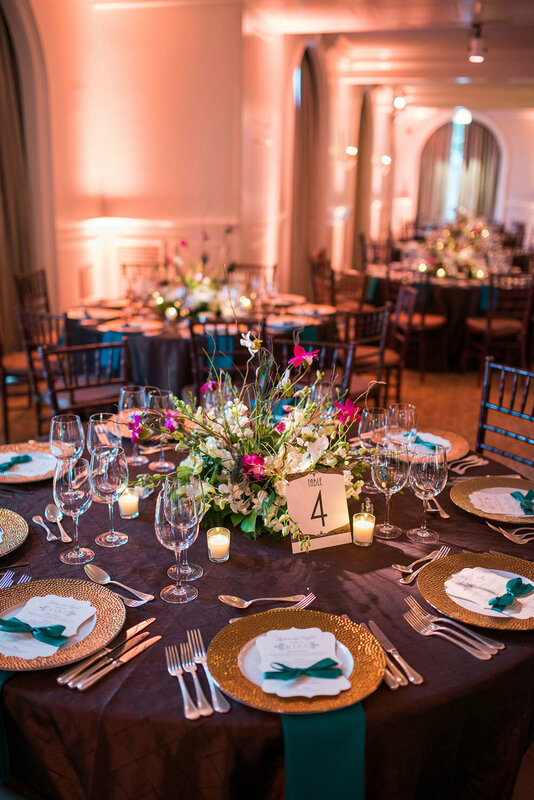 Click here to request a custom quote for your wedding!